Removal ProcedureTurn OFF the ignition.Disconnect the battery negative cable. Refer toBattery Negative Cable Disconnection and Connection. 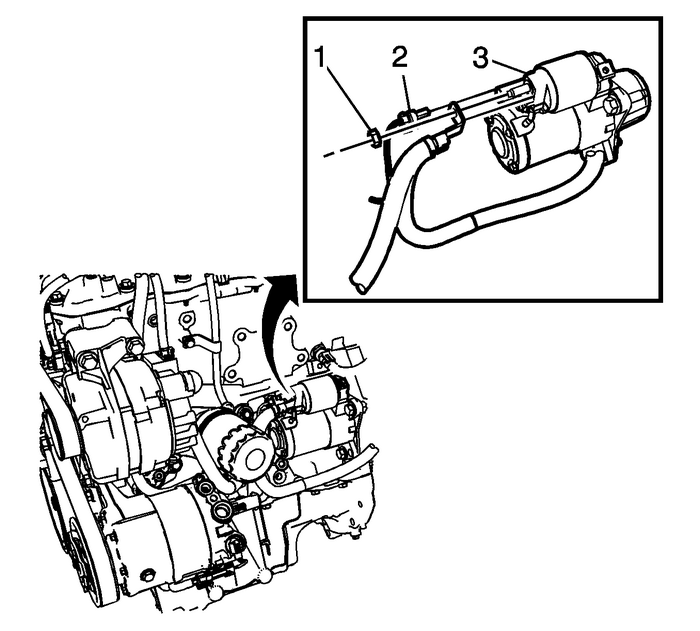 Remove the battery positive nut-(1) and the engine harness connector-(2), from thestarter solenoid-(3). 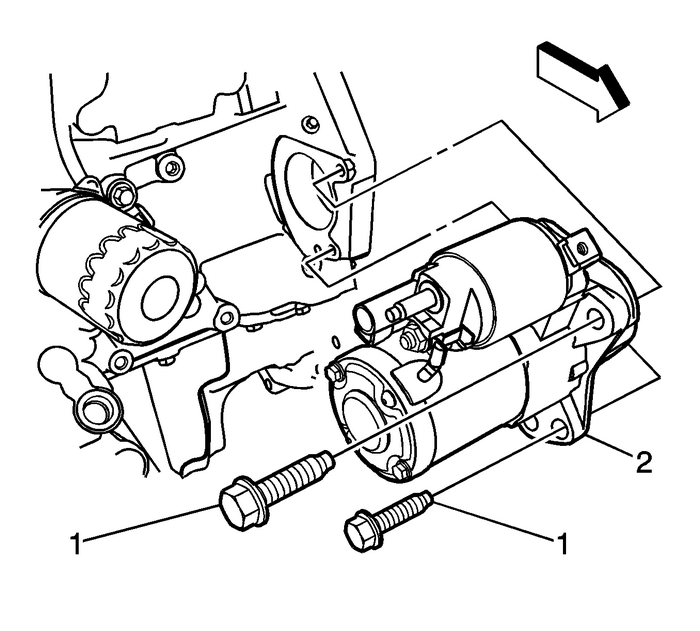 Install the starter motor (2). Install the starter motor mounting bolts. Tighten to 50-Y (37-lb-ft). Install the battery positive cable and engine harness connector to the starter. Tightenthe battery positive cable nut-(1) to 13-Y-(115-lb-in).Install the engine harness connector to the starter solenoid. 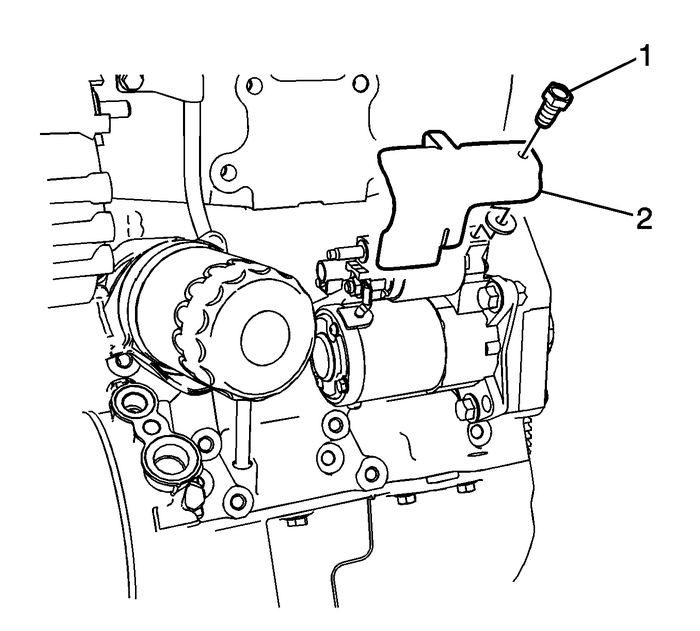 Install the starter heat shield-(2) and tighten the bolt-(1) to 5-Y-(44-lb-in).Connect the knock sensor connector.Install and connect the bank 1 sensor 2 oxygen sensor.